Completeaza mai jos intrebarile tale referitoare la Amplificator Hegel H360 si un consultant AVstore.ro iti va raspunde in cel mai scurt timp posibil. Produs verificat de un specialist AVstore, functioneaza perfect, fara zgarieturi (nici macar fine) si beneficiaza de garantie integrala ca un produs nou. 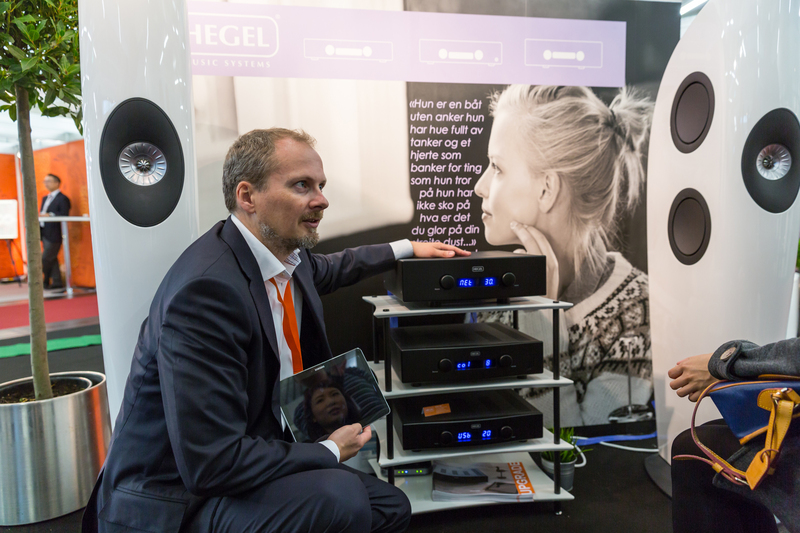 Hegel H360 is a giant among integrated amplifiers. With 250 watts per channel into 8 ohms and a damping factor of more than 4000, it will control virtually any loudspeaker on the market. Thanks to the patented SoundEngine technology, this beast of an amplifier combines power, dynamics, finesse and musicality like no other integrated amp on the market. The connectivity is more of a bonus... There are balanced and unbalanced analog inputs. There is a Home Theatre bypass. There are optical and coaxial digital inputs, as well as a USB input for any signal up to DSD128... And, yes - it is also a streamer. Need we say more? The core of everything Hegel is sound quality, and the H360 is no exception. The obvious benefit of the H360 is easy to see - power. It can deliver 2 x 250 watts per channel into 8 Ohms, and is stable even in lower impedances. Furthermore, the damping factor of more than 4000 makes certain it can take control over even the most demanding loudspeakers. The H360 will always play with great authority and ease. Rarely is such power combined with finesse. However, specially designed power supplies driving precision volume attenuators contributes to an extremely low noise floor. Hand matching near perfect transistor pairs in the input stage reduces harmonic distortion. Our patented SoundEngine technology reduces over all distortion, and especially cross-over distortion. Our designers understand how transistors work, down to the atomic level, and have used all this knowledge in designing the H360. The H360 incorporates a high quality DAC, using Hegel’s proprietary re-clocking. The benefit of this is that we can make everyday sources sound really good. Sources like a phone or a computer. This is why we have also included functionality like Apple AirPlay and DLNA streaming. There is also a reference class USB input, supporting all formats including native DSD64 and DSD128. Momentan produsul Amplificator Hegel H360 nu are nici un comentariu din partea utilizatorilor. Fii tu primul care adauga un comentariu. Vezi specificatii tehnice, review-uri si pareri despre Amplificator Hegel H360 (ref.33689).